Instant Pot Jamaican Peas and Rice | Traditional Jamaican fare! Why aren’t there peas in Jamaican Peas and Rice? 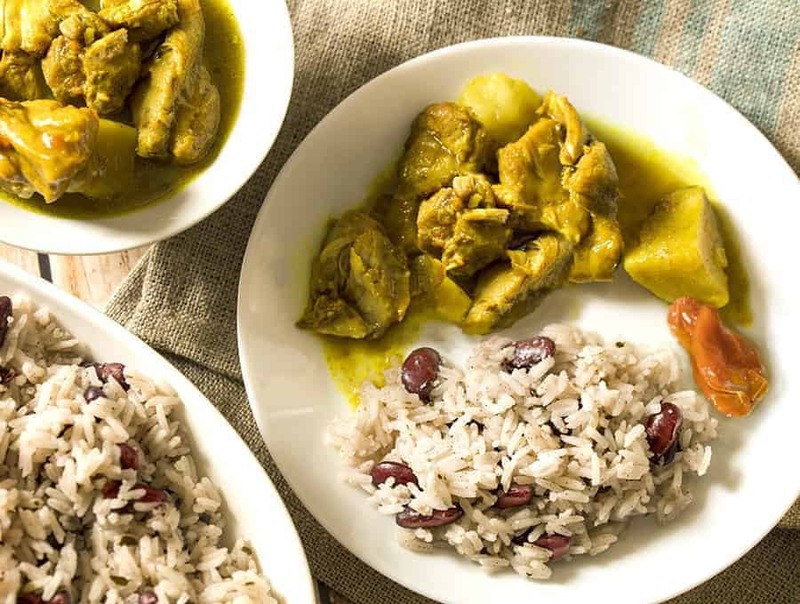 This is a common question for people who are unfamiliar with Jamaican cuisine. It’s actually customary in the Carribean to call beans peas. Jamaican Peas and Rice actually has kidney beans in it, but Jamaicans call them peas so the title of the dish is peas and rice. In America, we refer to this pepper as a habanero. It’s a very hot pepper and has a very high Scoville rating. In the Caribbean, they’re simply called Caribbean Red Peppers and are used in recipes often. Scotch Bonnet peppers have just as much flavor as they do spice and are an excellent way to infuse spice and flavor into a dish at the same time. In this dish, we use a whole pepper so as to add a little heat without really blowing the roof of your mouth off. I’ll be honest, I added it because it’s traditional but I can’t really taste any heat at all with it. Then again, I have probably obliterated my spice taste buds with how much cayenne I eat, so maybe I’m wrong! 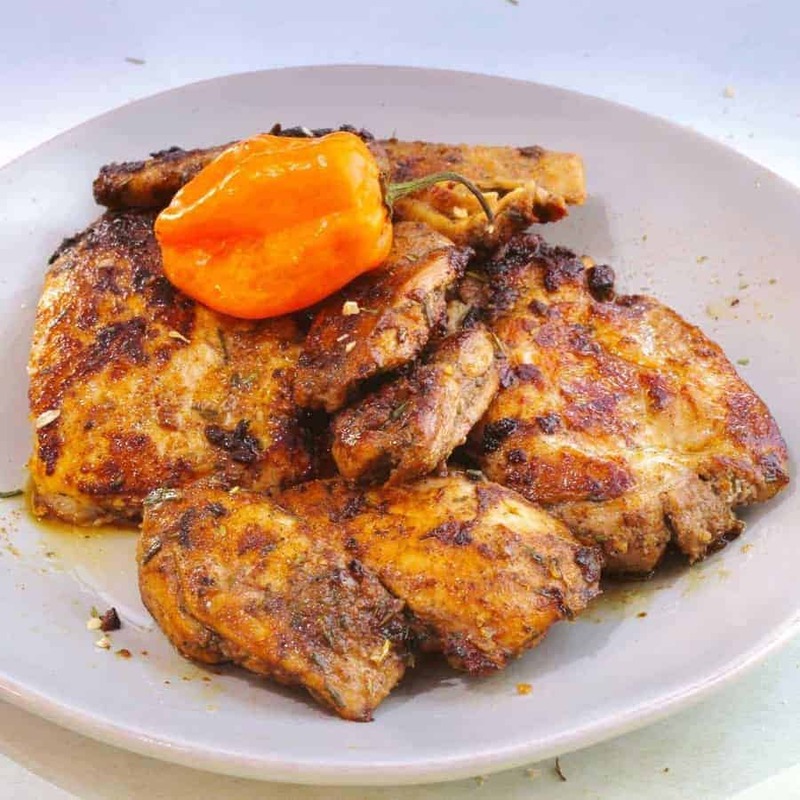 If you like Jamaican food, check out my recipe for Jamaican Jerk Chicken! It would go great with this recipe! 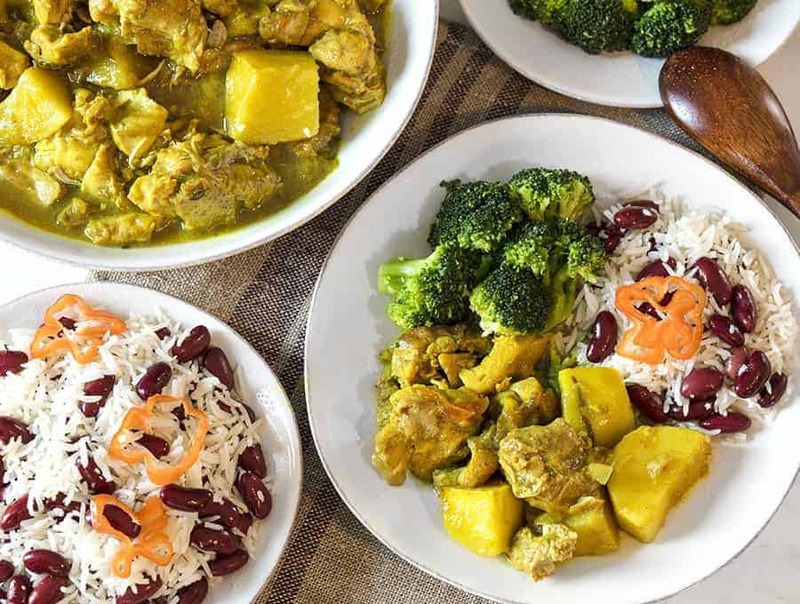 Another great Jamaican dish is my Instant Pot Jamaican Chicken Curry. 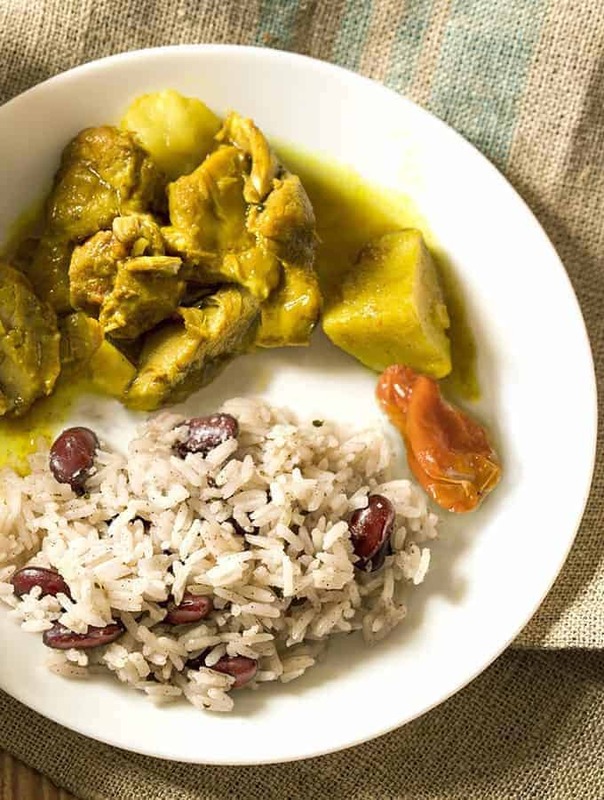 This spicy, authentic Jamaican recipe is done in just 20 minutes! Why are you cooking this rice without the coconut milk and adding it at the end? Okay, listen to me. If I tell you an unconventional way of making this dish, you KNOW I’ve tried it the conventional way. I absolutely did try mixing the rice, beans, coconut milk etc. And when I opened the pot, I had an unappetizing looking mess with coconut milk separated and floating on top in a web, the beans were mush, and the rice had stuck to the bottom. So I redid everything. I ask you to put the rice at the bottom, cooked beans on top, I added ghee to keep it from sticking, and then added the coconut milk afterward. I realize this isn’t the conventional way of doing it, but you get great results doing it this way. Can I make this with dry kidney beans and/or brown rice? Maybe? But I didn’t try it so I won’t comment on it. The issue will be getting the water proportions exactly right which I haven’t played with, so please don’t ask me how, as I will TOTALLY be guessing. Place the rinsed and drained rice into the inner liner of your Instant Pot. Add the scotch bonnet pepper (left whole), thyme, salt, allspice, and water and mix well. Pour in the ghee or vegetable oil and stir lightly. Add the kidney beans on top and do not stir. Cook at high pressure for 4 minutes and let it release pressure naturally for 10 minutes. When 10 minutes are up, release all remaining pressure. Add 1/2 cup of light coconut milk, mix well, and close the lid again. Allow the rice and peas about 10 minutes to absorb the coconut milk. Open, remove the sprigs of thyme and the scotch bonnet pepper, and serve. 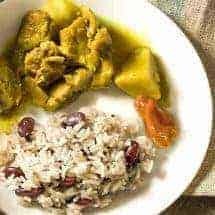 Unfortunately, I do not know how to make this with brown rice and/or uncooked kidney beans so please don't ask me to guess as that recipe is untested. Please read the post to understand why I ask you to layer the ingredients and why the coconut milk is added after cooking. 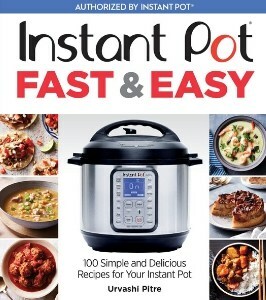 What size Insta pot is best for this recipe? Plenty Thanks! What size Insta pot is best for this recipe? Thanks! Perfect! My new go-to rice & peas recipe! Thank you for a perfectly flawless IP recipe! Yuh dun did good! I did this with brown rice. So I did 4 Mina instant pot with 10 minutes natural release. Then I added 1 cup additional water and did 10 minutes in the instant pot with quick release. I poured in the coconut milk and let it set for 10 minutes. The rice came out perfect. What do you think? This receipt was good. I added some scallions, but it was good. this food loos delicious, how to cooking it? For years, Ive been trying to get this recipe right, the way Jamaicans do it in Kingston. This is recipe nails it exactly right. Adding the coconut milk at the end is pure genius. Making this tonight for dinner. I see a slight error in the recipe. In step 6 it says allow the rice and peas. I think you mean beans as there are no peas in this recipe 😉 thanks for all your awesome recipes!